Why do we have to throw rocks? I saw a diatribe this afternoon from a guy who was blistering a foreign dignitary that spoke in America. He called him all kinds of names, it was actually pretty sad. What is it about politics that requires people to be throwing rocks at one another? Reading this guys post that constituted throwing rocks was rather ironic. Here was a guy throwing rocks at a guy for throwing rocks. I saw the same thing yesterday when a satirical site wrote a piece that was clearly listed as entertainment, and yet people went after the subject of this article like she was Satan herself. Rocks are interesting things, you can do some cool things with them. I love riding my motorcycle along the back roads of Kentucky. They have these really cool stone fences. These stones are now historical. 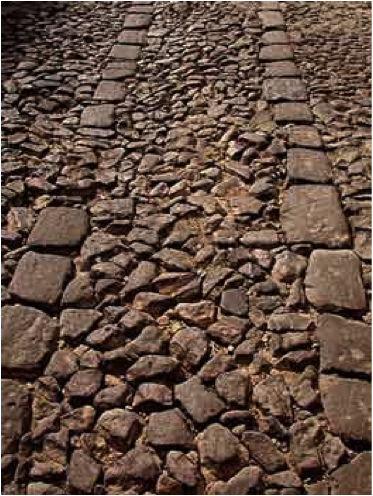 Speaking of historical, I once walked along the cobblestones of Antigua; those were some really cool stones. People can do, and have done, some really positive things with stones. Landmarks to help us find our way, property markers to keep friends, friends, and gravestones to remind us of loved ones. Bridges of stone can bring us together and help us make friends. There are stones that have been built into buildings to create cities and communities. But down through the ages, stones have been used to kill people. Sometimes people just get so mad that they throw stones. Sometimes that is all someone may have to protect themselves. Israel had a King that in his youth averted a whole war with a sling and a stone. The guy was good. I’m not gonna lie, when a young, ruddy, handsome shepherd is willing to take on a 8 or 9 foot giant with a sling a stone, he’s got mad skills with stones. And in many cultures stoning, the practice of throwing rocks at someone until they lay dead at your feet, was a form of capital punishment. I believe it was a punishment for the society that did the stoning as much as it was a punishment for the criminal. Can you imagine picking up a baseball sized rock and throwing it, then going and getting it and throwing it and doing this over and over until the person dies. It has to be a horrible means of creating death. So why do we do it? We can just as easily put the rocks down. Jesus of Nazareth invited a group of rock throwers to throw stones if they themselves hadn’t sinned. Maybe we could choose to put the rocks down. Maybe we could use the rocks to build something positive? Maybe instead of throwing rocks at people that we disagree with, we can stack them up until a bridge is built or a home is established. Can you imagine a world where stones are used to create better places for people who maybe don’t even deserve it? I have learned through the ages of my life that throwing rocks at people for throwing rocks at people is still throwing rocks at people. Slandering someone for slandering someone is still slandering someone. Disparaging someone for disparaging someone is still disparaging someone. What if we decided to work hard at putting the rocks down? Maybe we will fail, but what if our failure was that we weren’t willing to throw rocks any more. What if we decided to be the people that changed families, communities, governments and the world? What if what we decided to be most known for was not throwing rocks at people who threw rocks at us? I’m going to give it a shot, want to join me? To think of throwing rocks always puts me in the mind of angry mobs. As Christians, I pray that we can move away from the mob mentality.